My name is Dan Grec, I previously drove my Jeep Wrangler from Alaska to Argentina. I blogged the entire way on my blog The Road Chose Me, and I had a thread here on Expo. After that adventure I sold my little Jeep and have been living and working in Whitehorse, Yukon. I've been saving and dreaming for those years of my next adventure. 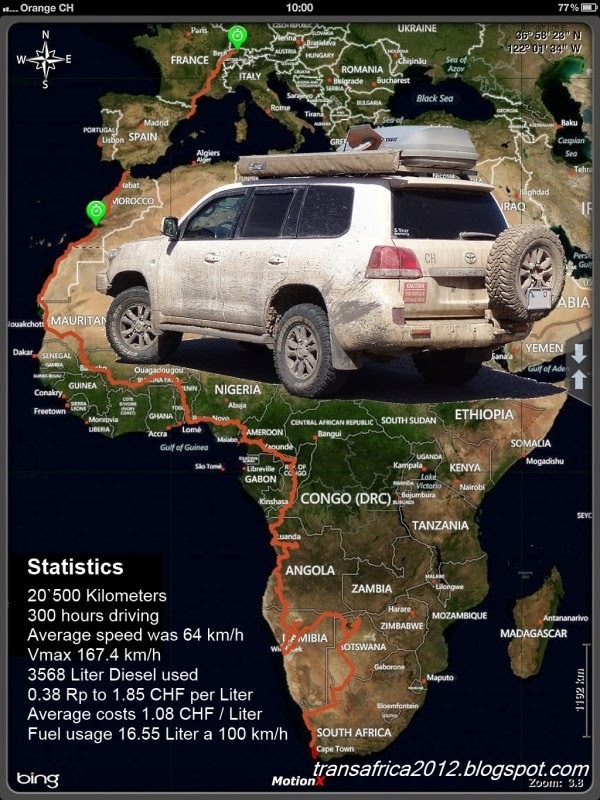 Two years circumnavigating the African continent in my 2011 Jeep Wrangler Unlimited Rubicon that I've modified with a lot of extras so I can live in it for 2 years. I learned alot during my two years on the Pan American Highway - I learned about where I want to go, and what kind of vehicle I want to do it in. With that in mind, I have built my Jeep into a self-contained house on wheels. 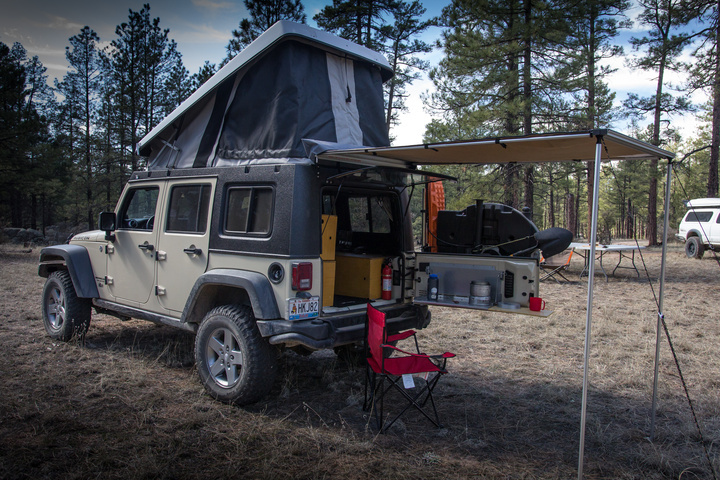 It got solar panels, a drinking water and filtration system, a fridge, storage cabinets and a modified pop-up roof so I can stand up and walk around in the entire rear of the Jeep. I am absolutely bursting with excitement to get this show on the road! As well as blogging, taking photos, writing for a magazine or two and posting to social media, I'm also filming a YouTube series this time. Have a great trip, Dan! Sounds like a great trip. I lived in West Africa a while back and it looks like the Jeep should be able to handle those roads, at least in the dry season. Will look forward to the reports. I am glad we will be able to view your progress as you make your way through Africa. Followed you on your last trip I will be sure to follow you on this one as well. Sounds like a great adventure. I'm curious what your fuel range is with on board tank(s). The reason I'm asking is I've been watching videos by Andrew St. Pierre White of 4XOverland.com. He lives in South Africa and has been overlanding throughout Africa for years. 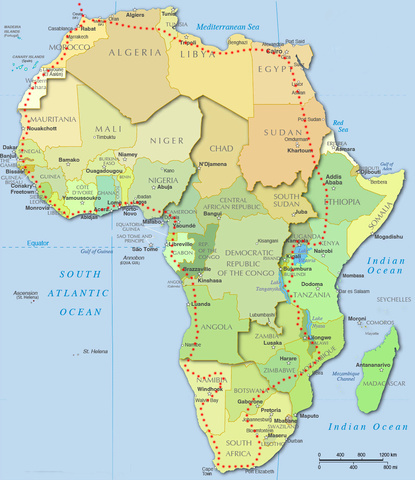 He states you need a minimum of a 600 mi range in Africa. If you're already aware of this issue please ignore this. If not you might want to check into extra tankage. I've got the stock 22.5 gal tank and the Titan 13.8 gallon tank on the rear tire carrier. I little while ago I hand-calculated it's returning 18.4mpg at 62mph over 1000mi. With the 13.8 gallon Titan Fuel Tanks mounted on the tire carrier, total range is ~650mi. Hand calculated w/ GPS distance and speed. Obviously it will be less than that in the real world with sand/mud and likely bad quality gas. I'll be keeping a close eye on maps, and if I ever want to get stupidly far off the beaten path, I'll pickup a jerry of some kind for temporary use. That's exactly what I did to cross the Slat Flats of Bolivia, then I just got rid of it and never needed one again. I'm curious why have you calculated your fuel usage at 100km/h in Africa? It's very rare you will find new, smooth tarmac. Most of the time it will be old, pot holed asphalt or a corrugated gravel road. Then of course there's the mud during the rainy season, which since your trip is so long, you will definitely encounter. Watching Andrew White's videos, he often times mentions the speeds at which he travels at (limited by road conditions) and he's doing 20-40 for long stretches. This is his latest video from last week, go to 5min. The LongRanger under vehicle tank is available in South Africa if it ever gets to that. Did you get a locking cap for the Titan? I've already subscribed to your Youtube channel, so I'm looking forward to the videos. I'm curious why have you calculated your fuel usage at 100km/h in Africa? Because that's what I had in front of me to drive on in North America. Obviously I won't be going that fast and things will be very different. I'll calculate it when the conditions better match what I'm expecting! Thanks for all the input and ideas! Subbed for updates, and good luck on your travels!